January 8th 1806 - Rested that night in Rut Valley (1). 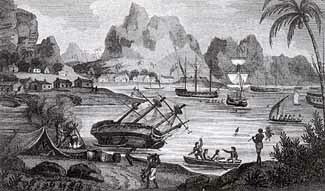 Dreadfully in want of water, having three days’ salt provisions in our haversacks. Several men fell dead for want of that necessary article. One man of the name of Taylor dropped close by me, and turned quite black in a moment. 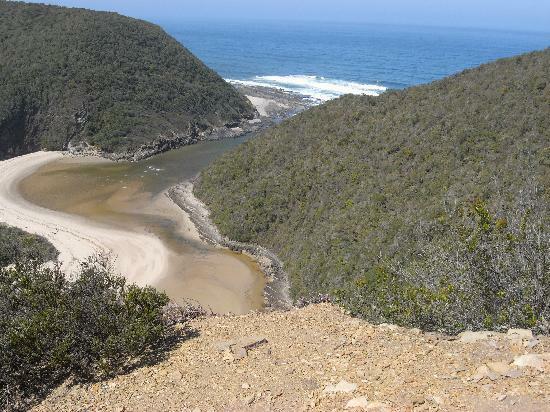 January 9th 1806 - Moved towards Salt River. This day a flag of truce came from Cape Town. General Jansens and the Dutch troops retreated to Stillingbush, (2) and from thence - (page missing) (3) - continues: without a sign of vegetation as far as the eye could reach, nor a drop of water, save some stagnant pools of brackish, which the men swallowed so much of, that out of three regiments that started from Wynberg in the morning, not more than 100 men got into Stillingbush that night; the heat of the sun reflected from the sand was intolerable. I was one of the few who got into that paradise of a village. Next day most of the men joined. 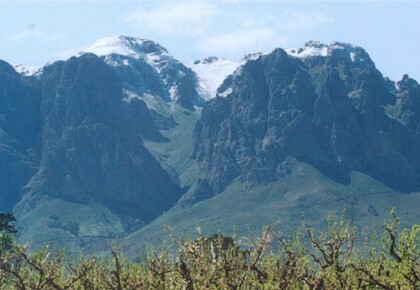 A rare glimpse of snow on the Hottentots-Holland Mountains - Somerset West , Helderberg. January 18th 1806 - At sunset marched for Hottentot Holland (Hottentots S.G.) arrived opposite to it about eight o’clock next morning. 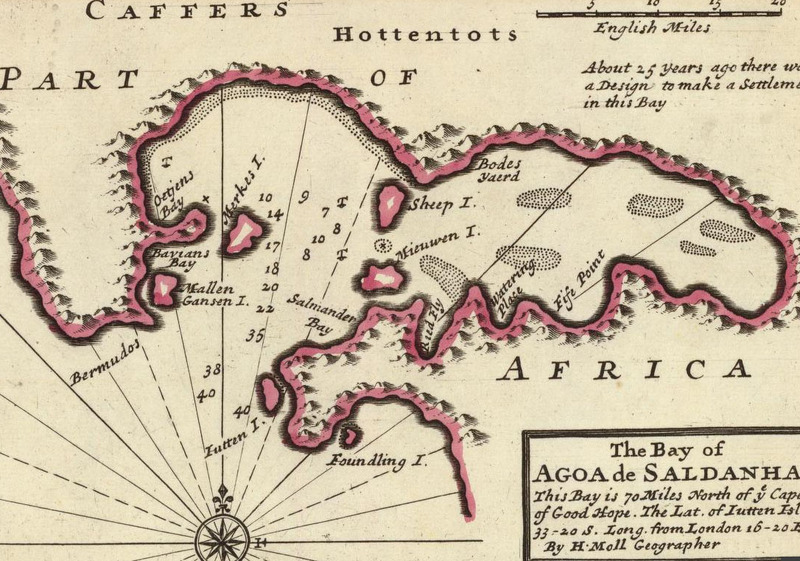 The approach to it is only accessible by one person, it being on the summit of a tremendous rock, and when arrived at the top it presents a verdant plain of great extent, and protected on the side next the sea by perpendicular rocks of an amazing height; it is the asylum of runaway slaves. 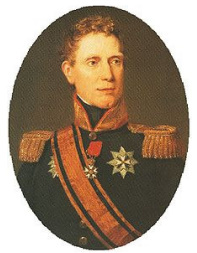 General Jansens (Jan Willem Janssens) and his troops capitulated this day. The following is the copy of a letter written by General (now Sir Ronald) Ferguson. 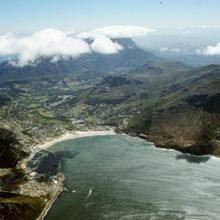 Cape Town, 19th January, 1806. 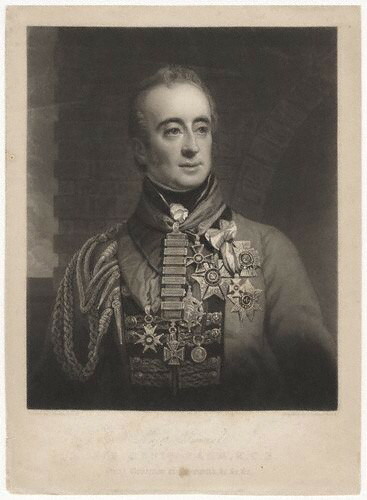 Lieutenant-Colonel Pack (sword of) desiring that the three regiments should be considered as one family, has most handsomely withdrawn the prior claim the 71st Regiment might have made and which the situation of the guns would have entitled that most excellent corps. 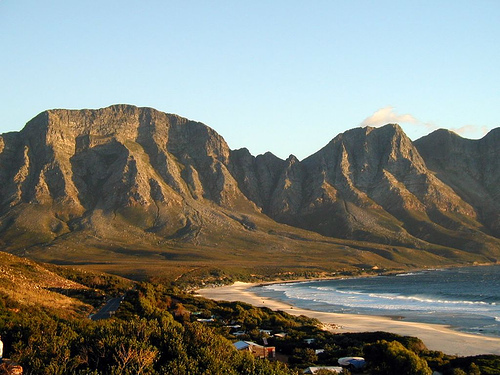 January 20th 1806 - Went into cantonments at Wynberg (7 miles from Cape Town and same distance from Simons Bay) in a number of huts erected by the Dutch. The Dutch flag still hoisted on the ramparts; the fine French frigate ‘La Volontaire,’ deceived by it, entered Table Bay and cast anchor alongside the Admiral’s ship before she perceived her mistake. On board of her we found Lieutenant Iverard and about forty men of the 54th British Regiment, whom she captured in the Bay of Biscay; she was on her passage from Europe to the Island of Ceylon. 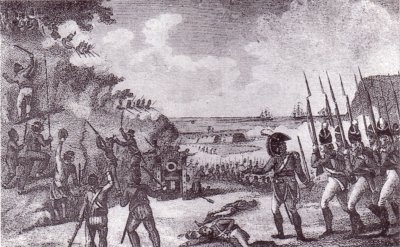 The Hottentot Corps formed about this time, called the Cape Regiment, and the Command given to Major Graham of the 93rd. We sent them Lieutenant Lewis M’Kenzie and Ensigns Bell and Gair. A German regiment (4) in the service of the Dutch, who were made prisoners, volunteered into the British service; we got eighty of them.